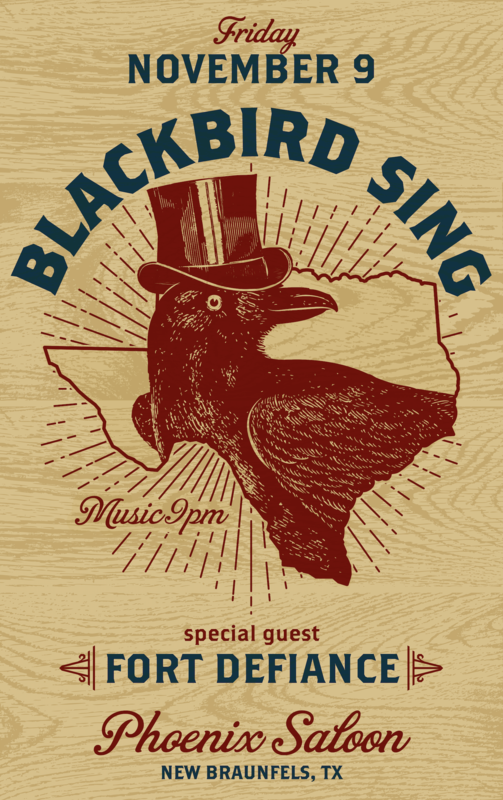 Cool swaggering Texicana from the very fine BLACKBIRD SING outta San Antone, nifty purveyors of richly melodic, dancefloor friendly Texas Country with an indie edge and sonic bite. Good stuff! Opening, we have ace husband and wife duo FORT DEFIANCE, purveying a classy and riveting meld of Country craft and haunting Americana. Killer double bill!